Widgets on your homepage contain useful information and links. If what you need isn't on your homepage, search for it! For example, let's say you wanted to access Google Apps; you can do a search. 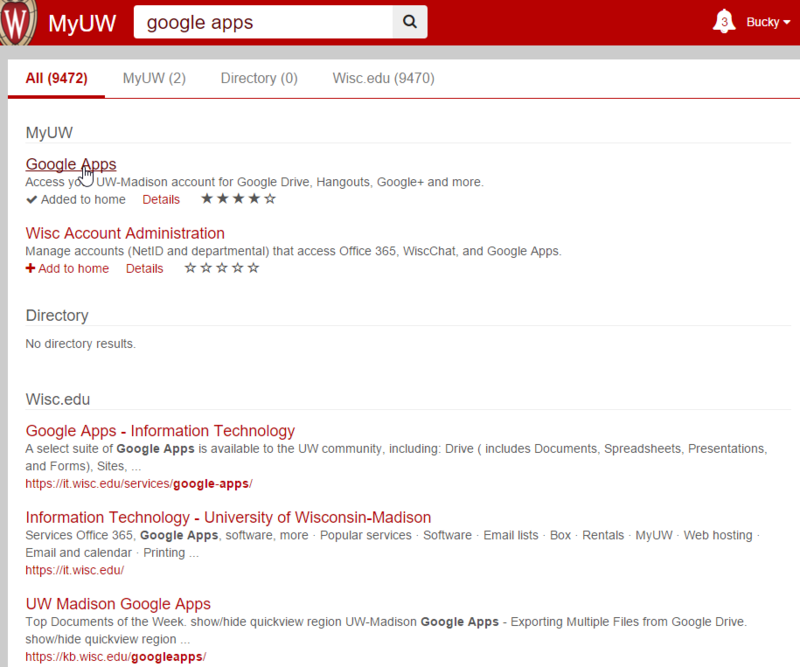 The search will display results from within MyUW, the campus directory, and a wisc.edu site search. Click on a result to access it. 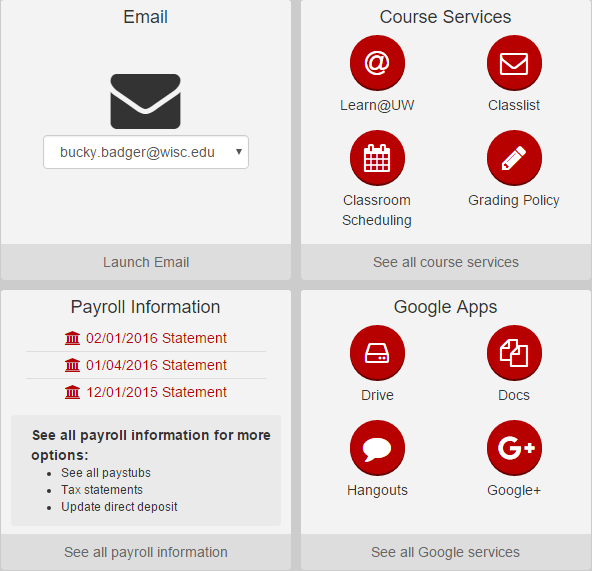 For results within MyUW, you can also Add to home or view more Details. 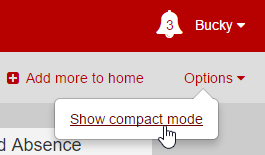 Use the Options menu to switch between Expanded mode and Compact Mode. 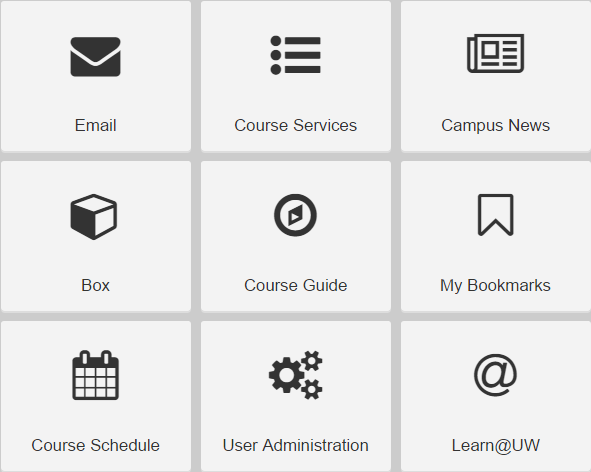 Drag and Drop tiles to change their order. To remove a tile, hover the mouse cursor over it and select the X icon. 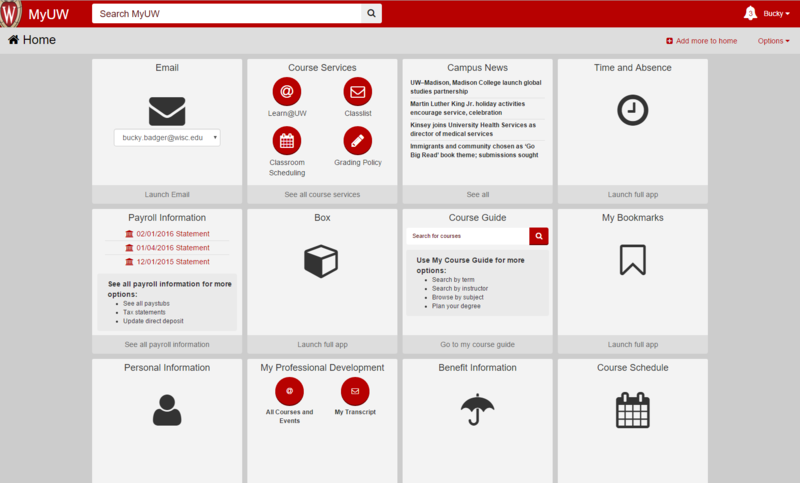 The DoIT Help Desk can help you troubleshoot your MyUW issues or find the info you need.